The fall Bolt sale is happening this weekend and I headed over there after work yesterday to purchase some fabric I spied several weeks ago. 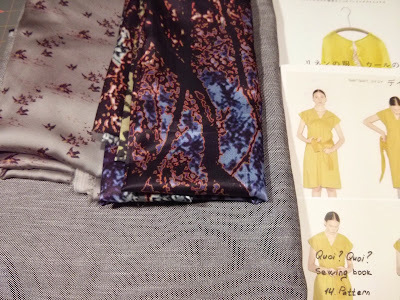 There's a great selection of cotton silks there right now and I picked up two: a platinum colorway with birds and tiny pops of neon and a multicolored digital print. I also had to have this Theory grey stretch cotton denim. I'm not sure which face of the denim I will use as the right side, but it would look great either way. I decided to sew the digital print first and I selected a square blouse pattern from the Pretty Straight Sewing Japanese book. This shirt is literally a square with holes for your head and arms. 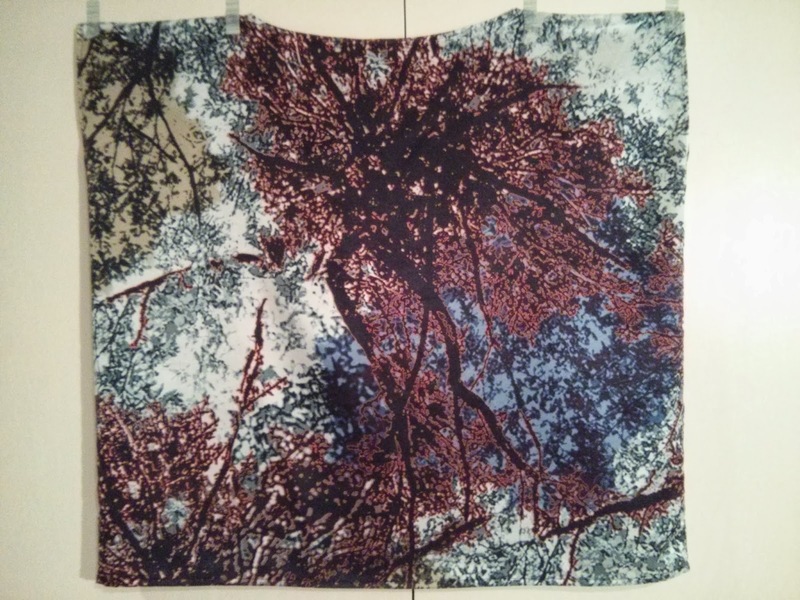 I only bought a yard of this fabric, which was a little short, so I had to alter the pattern by about three inches on each side. This was a quick project and I absolutely love how it turned out. 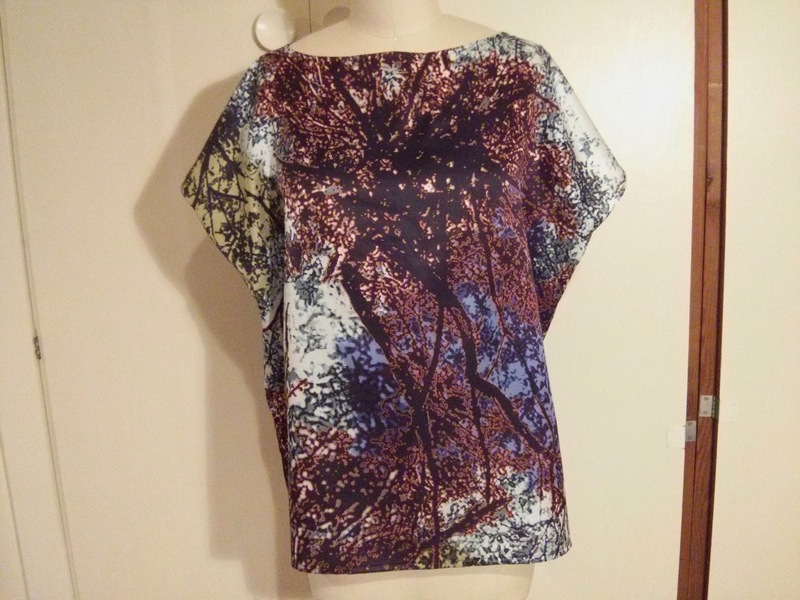 The drape that is created when the blouse is worn is perfect and I really dig the print and the colors. On to project #2!